Hey everyone, just bought a brand new computer. Got all the parts and built it myself. When I first got it, It ran pretty decently but nothing like it should have. I've had it for about two months and this past week and half has been the worst its been. The game I mostly play is Fortnite with the occasional World of Warcraft. I have to play on all low and at first and I wasn't getting any frame drop. I didn't really mind playing on all low cause I wasn't dropping any frames but NOW I'm still playing on all low and I'm getting honestly unplayable frame drop in Fortnite. I tried overclocking it and it did absolutely nothing. Question from chrisprendergast987 : "Need MAJOR help with computer problems. MAJOR fps drops"
Hey everyone, just bought a brand new computer. Got all the parts and built it myself. When I first got it, It ran pretty decently but nothing like it should have. I've had it for about two months and this past week and half has been the worst its been. The game I mostly play is Fortnite with the occasional World of Warcraft. I have to play on all low and at first and I wasn't getting any frame drop. I didn't really mind playing on all low cause I wasn't dropping any frames but NOW I'm still playing on all low and I'm getting honestly unplayable frame drop in Fortnite. I tried overclocking it and it did absolutely nothing.I spent a lot of money on this computer and i'm very disappointed in it's performance. I'm beginning to think that I might have a faulty piece of equipment inside it. I'll send as much information as I can. and yes my drivers are up to date. Let me know what other information I can send. Someone has to be able to help me! Let me know guys thanks!! PS: I did a benchmark last night and the gaming percent was at 90% and now its up to 98% so i'm not really sure what's going on.. So I recently looked and it says my GPU is only using about 55-60% during fortnite. everyone I play with says theirs goes up close to 100.. would this be problem? Are you gaming with wifi? The user benchmark thing says you have something sucking up resources in the background. Use Taak Manager to find out what it is. 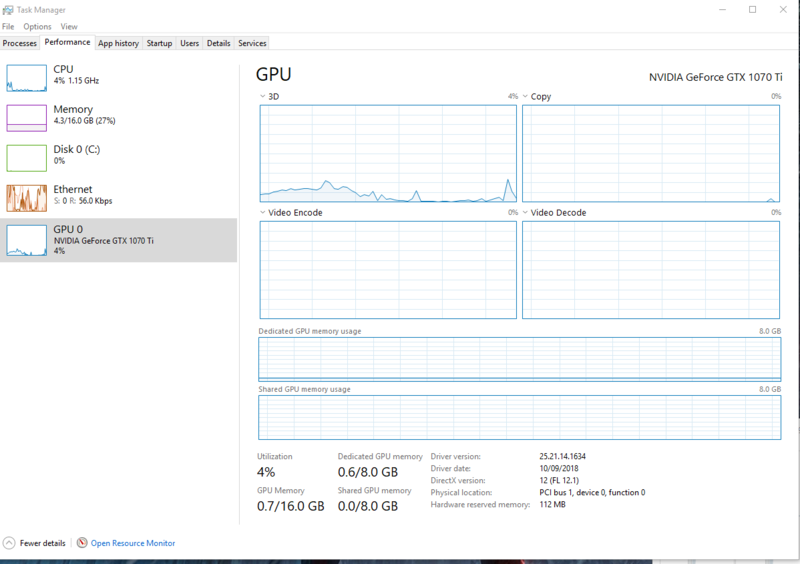 So when you are running Chrome, but doing nothing else, you see near 0% CPU usage? The benchmark thing says something was using 15%. Remember, this is not a question of what you are using. You know if Chrome is running since you started it. This is about something running in the background, and it might not even be something you realize is running. I'm not sure I understand the question. I took a screenshot of the Performance tab while only chrome and discord are running. 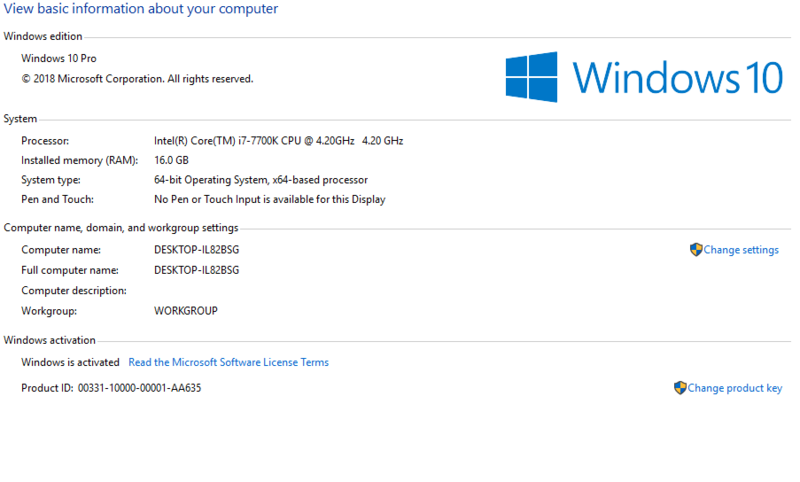 Question what major or minor updates can i make in my spec sheet of my 4gb ram i3-530 comp under 50$ to get better performance? Question Major issues with... everything. CPU Light on! Cpu is being majority underclocked! i5 vs. i7, any major difference?